We are all most conscious of protecting the big things in our lives–our vehicles, buildings, and our lives themselves. Health falls in there too. But we can lose track of just how much we have invested in our other belongings, and if we’re renting a home, we may forget that whatever the landlord carries on his or her investment does absolutely nothing to protect the expensive things we’re using inside of it. If this situation applies to you, there are some things that should motivate you to check on specialized insurance for renters in order to protect your expensive and treasured belongings. Assessing which risks apply to you is the first step toward deciding which coverage to purchase. 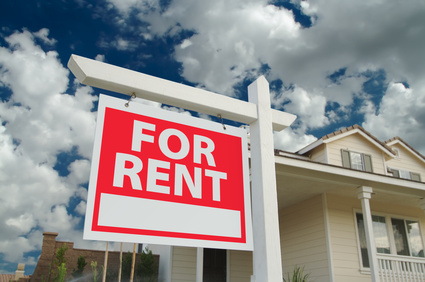 Your rental place may be modern with new wiring, no gas appliances, and even a fire alarm or sprinkler system. But about 6,600 residential fires still occur each year, racking up $457 million in losses. If you want to recover your goods if they are ever in that total, rental insurance will take care of it. Good planning helps too, of course. Just forget using candles in your apartment or house. They cause too many fires to be worth it. And be wise in your use of space heaters, always maintaining 36″ of clearance around them. Be cautious in the kitchen and make sure not to leave food unattended. Reduce your use of cooking oil, too. Okay, that was bad. But it’s also bad to see your belongings ruined by your landlord’s undetected plumbing problems. If you can prove negligence, you might recover some money from the owner, but isn’t it faster and better just to be covered? And no matter how well everything has been installed and maintained, sometimes you just have defective parts that fail and create leaks. And that’s just the water that is supposed to be in the house. You don’t need to live along a creek or river to suffer a flash flood. Plugged up storm drains can cause water to back up into buildings in areas where no one would dream they’d have water problems. These events happen quickly and with little warning, so there is little opportunity to move your fragile items. In particularly arid locations or high-elevation sites in non-urban areas, you can pass on this one. The U.S. is full of sneaky little fault lines that have been very quiet for many years. Seismologists aren’t fooled, but many regular citizens have no idea that their shelf full of fragile Depression glassware could come crashing down tonight. See if local insurance agents can shed light on your area’s earthquake risk, no matter how remote. Tornadoes don’t spin up just every day, but they can develop any day. There isn’t a month of the year that has never brought a tornado somewhere in the U.S., and all 50 states have been the victim of a twister at some point. When they do strike, they’re incredibly destructive. Purchasing insurance is all about covering the things that are most likely to happen to you, but in many cases the rare events are so cheap to prepare for that they’re worth paying for anyway. Consult with friends and insurance professionals to weigh the odds. NOTE: Sam Peters backed and provided information for this post. We live in an apartment, and it is written into the lease that we must have renter’s insurance. A very good idea! We are on the second floor, and the building is over 60 years old – a few months ago, someone’s apt. on this floor busted a major water pipe, and everything she had was ruined How scarey, I couldn’t believe the amount of water in her apartment!! You don’t think about things like that when you’re not on the ground floor, but you have to. Your post is a public service, get renter’s insurance, people! !